Every year at this time, fans across the country are abuzz at the prospect of their chosen team's seemingly unlimited potential. Any team could hoist the fabled Lombardi Trophy, and that unbridled optimism drenches even the most levelheaded spectators in waves of hope. It's only after the weeks creep by that fans start to realize their team hasn't improved much in the months since it last took to the field. That cycle of dizzying expectations crushed by cruel reality is mirrored all too well in Madden NFL 12. The core action has seen slight improvements, making it incrementally better than last year's offering, and presentation tweaks do a better job of mimicking Sunday's biggest games. But those minor additions offer little incentive to plunk down your hard-earned cash if you already own a recent entry in the franchise. 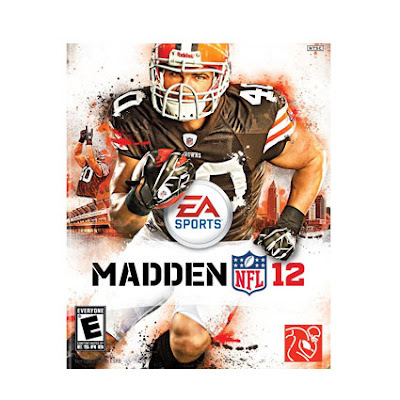 Madden 12 still offers the strategic excitement the series is known for, but the overall package is a familiar rendition of America's favorite sport. With that being said, take a look at Gamespot's review video of Madden NFL '12 below and decide if this is worth your cash !! !